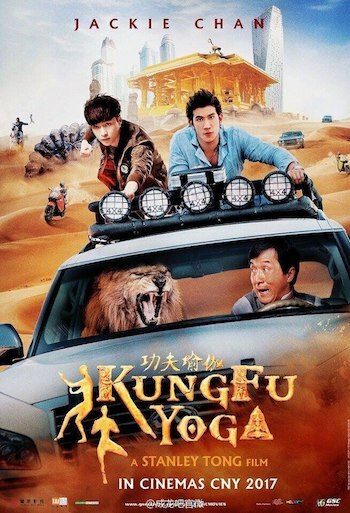 Movie Plot: Chinese archeology professor Jack (Jackie Chan) teams up with beautiful Indian professor Ashmita and assistant Kyra to locate lost Magadha treasure. In a Tibetan ice cave, they find the remains of the royal army that had vanished together with the treasure, only to be ambushed by Randall (Sonu Sood), the descendent of a rebel army leader. When they free themselves, their next stop is Dubai where a diamond from the ice cave is to be auctioned. After a series of double-crosses and revelations about their past, Jack and his team travel to a mountain temple in India, using the diamond as a key to unlock the real treasure.